Two reports offer dueling interpretations. Is Commercial Real Estate Headed for Another Bubble? On the same day as the Journal article, another article entitled “CRE Market Plateauing? New Sentiment Survey Shows This May Be the Case” from the National Real Estate Investor claimed expectations for the commercial real estate industry will be more moderate for the next year than they were for the last year. The Sentiment Index, released by the Real Estate Roundtable, surveys CRE executives on various market indicators. The results of this survey reflect that conditions are generally good, though there are concerns about global instability, rising interest rates, and the sense that growth opportunities may be getting harder to find at this stage in the cycle. A full description can be found in the press release and survey issued by RER. 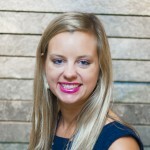 Ashley Gunn is a senior banking analyst at ABA, where she covers mortgage lending and commercial real estate.